Guild Wars 2 - Still Going Strong! 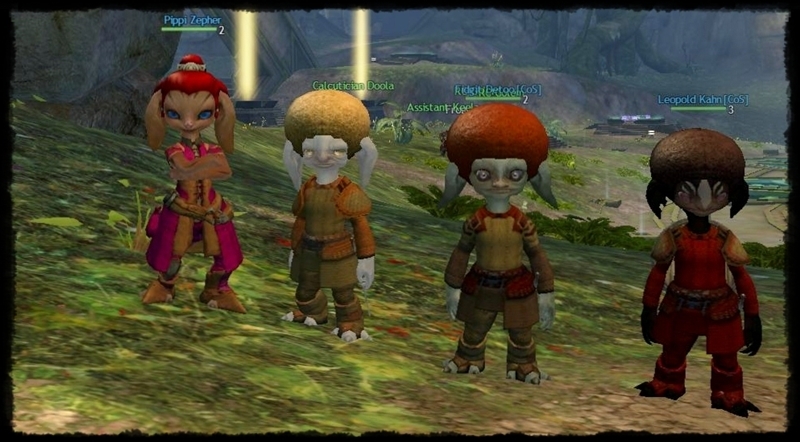 CoS has been rocking the Guild Wars 2 as of late. We have close to 30 tagged members with several folks having multiple level 80 characters and having mastered several of the higher end achievements. If you are looking to catch up with the gang, most of the usual suspects can be found on the Gates of Madness server. For more information on Guild Wars 2 and our presence there, take a look at this thread which is updated weekly with our current dealings. CoS never looked so good. From Left to right: Pippi Zepher (Zabine), Commadore Nutt (Eldan), Fidgit Detoo (Medar), Leopold Kahn (Archos). Bladekeep.com and all site graphics and texts ©1996-2012 by Medar.